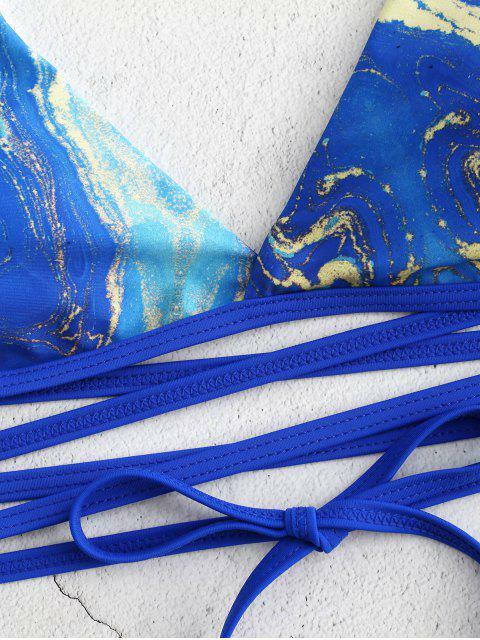 [24% OFF] 2019 Straps Wrap Printed Bikini In BLUE ORCHID | ZAFUL .. I got a size large, top fits amazing I'm usually 34dd-ddd, bottoms are cheeky and cute, a little tight, but I like them that way and I'm usually a size 7-9!! Was delivered so quickly. Was not expecting that. Fits incredibly well too. Such good quality. Bottoms are a bit narrow in the back, but I was expecting that from the other reviews. All in all will definitely tell everyone about this website.